Wipe-clean fun plus perfect writing. Master grammar basics with amazing games. Biff, Chip and Kipper have already got you reading. Now it’s time for writing. Sometimes the rules of grammar and punctuation can be hard to learn. But not when you use the incredible power of play. These flashcards are a fun way to perfect your grammar from the very outset. Pick a game, play it and then wipe the cards clean. 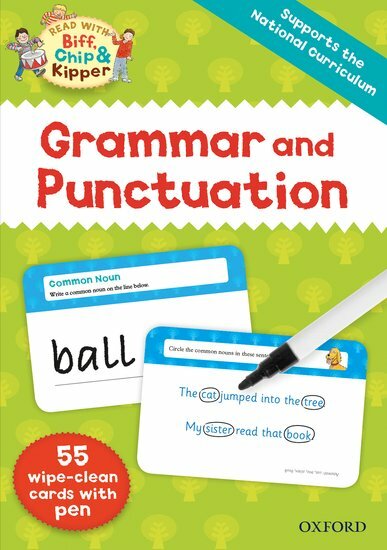 Learn all the grammar skills you’ll need to know for school.